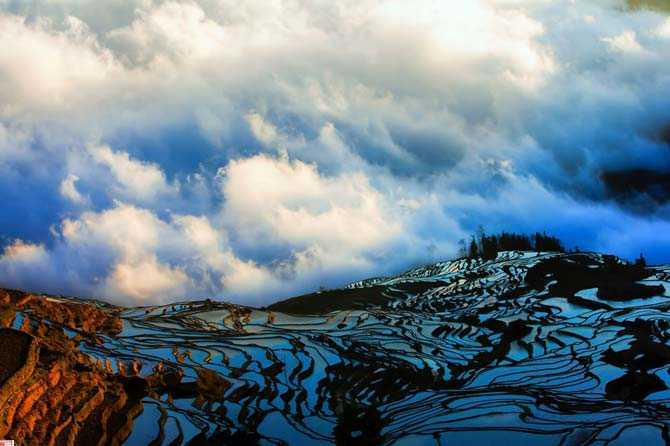 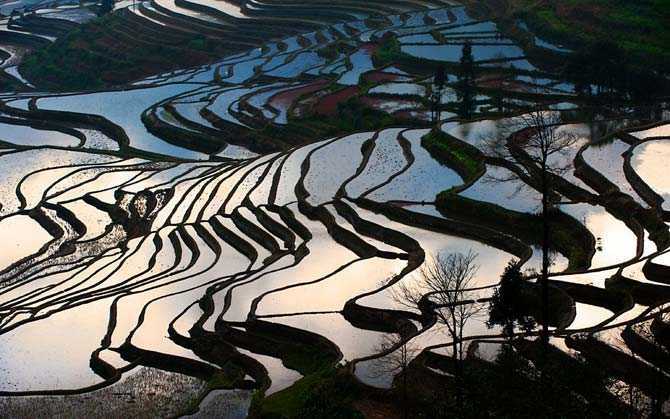 Yuanyang County in Honghe Prefecture, Yunnan province, China is well known for its spectacular rice-paddy terracing. 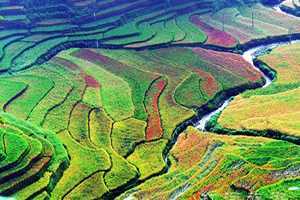 It covers an area of 2200 square kilometres and has a population of approximately 365,000 (2002), of which 88% belong to ethnic minorities and 95% is associated with agriculture. 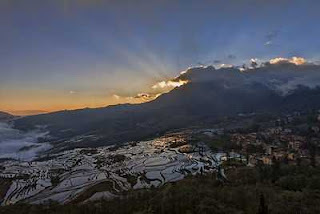 The majority of the inhabitants of the county are from the Hani ethnic group. 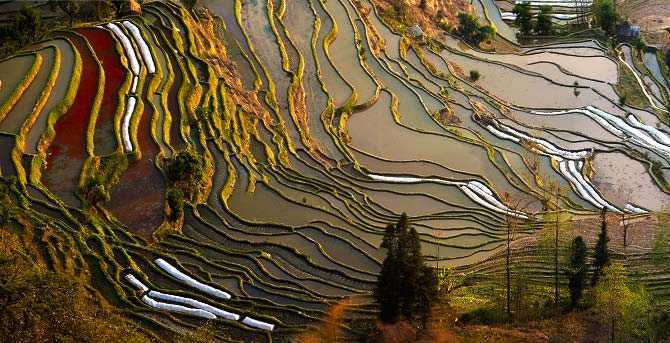 The winter temperatures here, although never freezing, are such that they only support one rice crop a year. 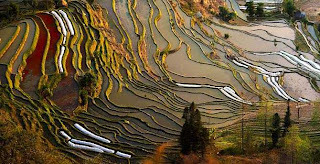 After the harvest, from mid-September till mid-November depending on the elevation, the terraces are filled with water until April, when planting begins.